As we reported back in June, there was rumors of a new LEGO UCS set and it was highly speculated that it would be the Tumbler. 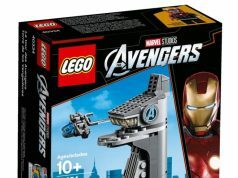 USA Today has revealed one of the sets that was supposed to be unveiled at San Diego Comic Con 2014, the LEGO DC Comics UCS Tumbler (76023). 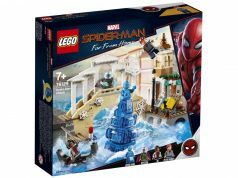 The exclusive set will be on sold at LEGO Stores and on [email protected] in September and it will consist of 1,869 pieces and will retail for $199. The Tumbler is based on Christopher Nolan’s Dark Knight trilogy vehicle and the set will also include 2 minifigures, one based on Christian Bale’s Batman suit and Heath Ledger’s Joker. This is the first time that Heath Legder’s version has been offered. The UCS Tumbler measures 15 inches long and 9 inches wide. Another thing that LEGO has included with the set is the plaque and stand we usually see with UCS sets. 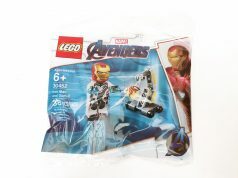 The August 2014 Store Calendar shows that LEGO VIP members get early access to a new exclusive set and I’m going to assume that it will be the UCS Tumbler (76023).